Bid interest suggests the $1.1 bln Swiss holiday group was right to get out of traditional tour operating. Its visa processing business looks promising. A buyer wouldn’t get much of a return at current prices, though Kuoni’s potential may not yet be fully visible. 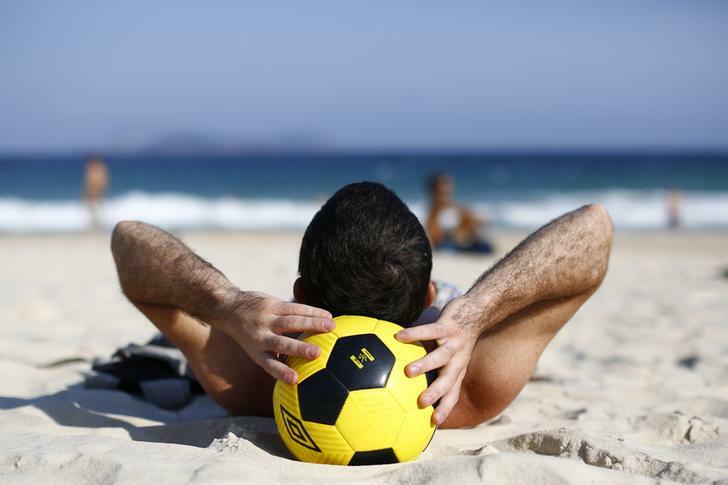 A man takes a nap over a soccer ball at Ipanema beach in Rio de Janeiro June 9, 2014. Swiss travel group Kuoni has received tentative offers from third parties to buy the company, it said on Jan. 5 in a statement. Sweden’s EQT, Permira, Cinven, and a combination of Baring Private Equity Asia and China’s HNA Tourism Group are among those looking at a possible deal, sources close to the negotiations said. Kuoni last year sold its tour operating activities in Europe and Asia, leaving it with travel services units including a growing visa unit that arranges travel permits for governments and companies.